You need to be strategic when buying a vinyl cutting machine that would be suitable and capable of meeting all your needs satisfactorily. But before you make up your mind regarding this issue, it is imperative to understand the nitty-gritty’s of a vinyl cutter. It is a computer controlled device that operates in a similar way as a printer, and in some instances, it is also referred to as a vinyl plotter. This machine uses a blade rather than a pen in creating shapes and letters from thin adhesive vinyl sheets. One of the best aspects of this device is that all the design work is done on the computer using specific software that is then relayed to the cutter where the vector paths created out in the design are cut along. Nonetheless, there is a variety of vinyl cutter brands in the market. As much as they could be performing the same role, it is apparent that the quality of the outcome will certainly be different. In other words, there are certain factors that you have to look into when purchasing this machine. You have to put in mind some considerations in regards to your particular needs. For instance, deliberate on how sophisticated your graphics will be as well as finding out an ideal approach to use in controlling your media. Ideally, you need to get a vinyl plotter that has a superlative speed based on the number of projects that you desire to accomplish. Some plotters are relatively slow, and thus can be adverse to production in regards to profitability. So depending on the mass of work and time-frame, ensure that you choose one with speeds that suit your needs. You can never overlook the price for obtaining this machine. Many at times, different brands come with varying prices in the market. Depending on your budget, you need to ensure that what you get is worth the price. But above all, look into various dealers and their offers before settling on whose offer fits your budget and needs. It also matters a lot to ensure that you go for a vinyl plotter that meets your needs regarding size. They come in varied sizes hence making it easy for you to choose an ideal one that will enable you to accomplish your projects fittingly. An ideal vinyl cutting machine is one that cuts through using the necessary force. At times, when it cannot cut along the vector paths created with necessary force, the result will be awful. Evaluate how forceful it is when creating shapes and letters before ultimately settling on it. It will not be necessary to compromise the quality of your product by buying a machine that cannot deliver. More or less similar to a regular printer, this vinyl plotter is ideal for beginners and it does a remarkable job to anyone who has a little idea about the art of cutting. It enables you to create multiple projects instantly. 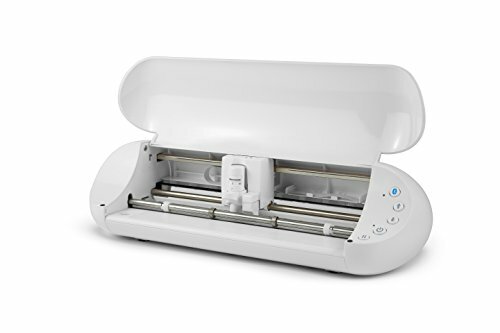 This machine is specially designed for DIY use and can cut up to 12 inches wide and 10 feet long. The blade can be replaced by a pen making it easy for you to get a sketch of what you need. Impressively, the machine is easy to use given that it has a stylish touch screen that facilitates navigation and is also compatible with some computer components. Its efficiency is above reproach, and it cleans itself adequately at the same time. Can be activated to sleep mode whenever it is not in use. It has software that is easy to use and compatible with several computer operating systems. It comes with a USB and a power cable that makes it easy for external and power connections respectively. It is easy to use and does not necessarily require formal training to use. It is lightweight thus making it easily portable. 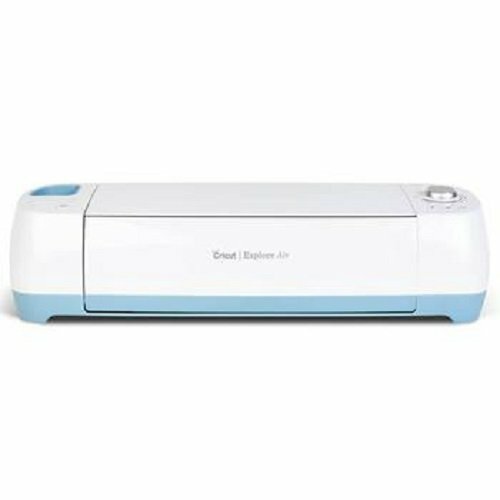 You rarely come across a dependable, high performing and quality machine like the Cricut machine for cutting vinyl. It is designed to carry out several DIY projects ranging from the basic to the most intricate. The cutter uses Bluetooth technology that allows wireless cutting which makes it one of the most outstanding vinyl plotters of the current generation. 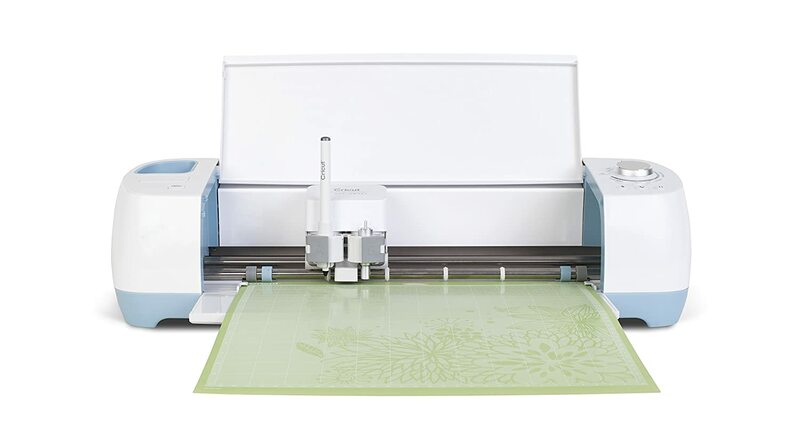 This means that you can use any kind of computer supported devices and connect to this plotter to get the cutting that you need. The machine is also designed for domestic use and it enhances the novelty of the user to incredible heights. Furthermore, it allows for accuracy in regards to cutting since it comes with a Smart Set dial that augments cut precision. Bluetooth technology helps in eradicating the tiresome task of using cords in connecting the machine to computer devices. It efficiently cuts various types of materials such as vinyl, leather, paper etc. irrespective of texture. The Smart Set Dial helps the user in getting the right cuts which ultimately enhances the quality of the finished product. It has a comparatively low resolution. Overall, this machine is superbly efficient. 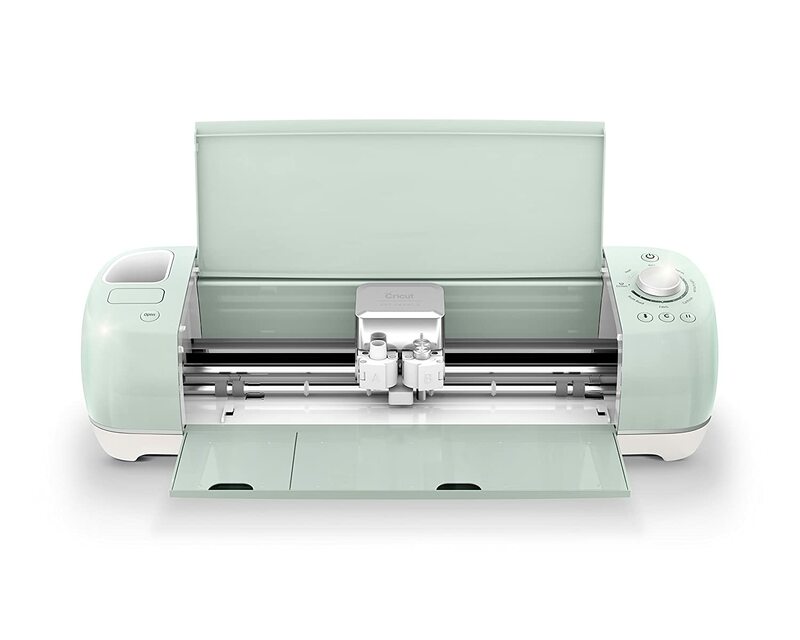 With its ability to support technology, the Cricut explore makes work easier and provides alternatives that help in getting the best end product. This Silhouette Portrait cutting machine is relatively small compared to the Cameo but its flexibility and efficiency remains unquestionable. It is an ideal cutting machine suitable for all your creative needs. 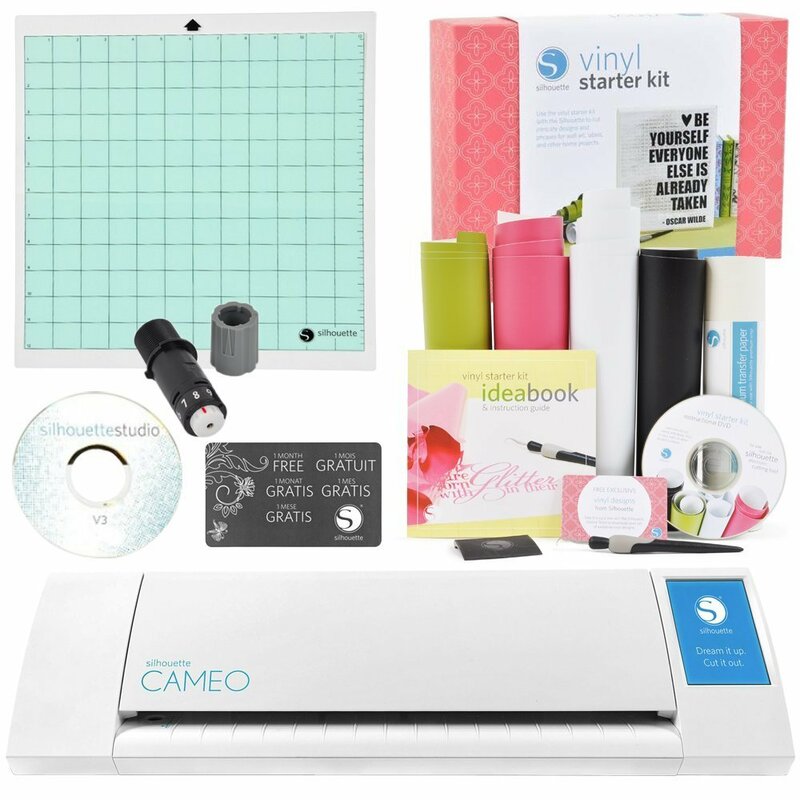 One of the interesting things regarding Silhouette is that it has the ability to cut more than 100 materials including paper, vinyl, leather, fabric and chipboard among others. This machine measures 16.25 inches with a weight of 3.5 pounds. It shows how small it looks but one thing for certain is that its performance supersedes its appearance by far. Cutting using this machine is also pretty simple, you only need to connect it to your PC or Mac via USB cable and then start working on your project. It cuts different types of materials like vinyl, fabric, cardstock among others. Comes with 50 digital designs. It comes with 10 dollars downloaded card. It gives you flexibility in regards to cutting various materials. It is highly portable but at the same time effective thus making it easy for you to carry it from one point to another. It is easy to operate thus suitable even to beginners who have less experience in the cutting craft. The tons of digital designs that it comes with allows you to create different formations using the available software. It has a comparatively small cutting area. This is a versatile and efficient plotter that can help you create very beautiful designs for your DIY projects. It one machine that is a must have for any serious DIYer. It is compatible with various devices such as PC, iPad, Mac where you can design from. 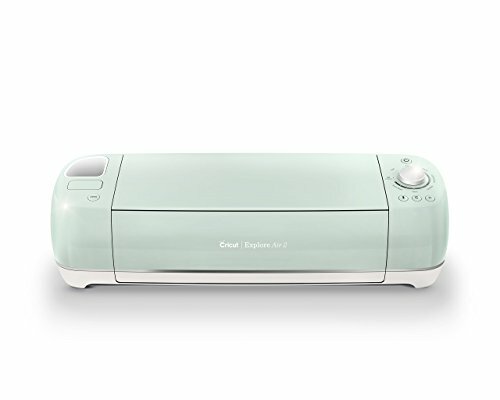 It helps in accomplishing tasks faster given that it is twice faster than the other ordinary Cricut vinyl cutting machine models. Its compatibility with various devices gives the user more flexibility. Bluetooth, CutSmart, and Smart Set Dial lessen cutting efforts. It has a multi-function carriage. The Roland compatible ﻿﻿blade holder is essential because it gives you the chance to use relatively economical blades on this machine. It is easy to assemble and operate even to novices given that it comes with and clear instructional kit that provides all details of what needs to be done. The dual-ball bearing roller media enables the user to simply place the materials on top of the rollers rather than placing the materials on the rollers every time. The Pro-design and cut software makes designing of the materials to be relayed on the machine for cutting easier. Using vinyl plotters is generally an easy task. But an important aspect that you need to know is that they require a high level of maintenance to get the best out of them. Irrespective of the model or size, always make sure that an expert gets to carry out frequent check-ups on your machine. This will ensure that your machines stay in good shape so that you can use longer. For you to get the best vinyl cutting machine, it is appropriate that you research and consult widely. Many dealers will tell you how one brand is better than the other, but if you do not have the necessary information, you will end up getting raw deals. 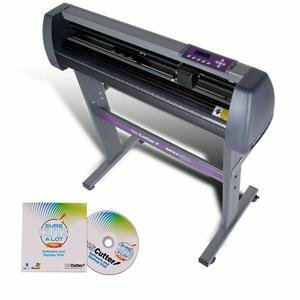 Above all, it is vital to establish that you are purchasing the best quality vinyl cutter from a reliable dealer. This will save you the headache of getting counterfeit units that are of poor quality.